but the best ones usually start with a plan. Our customized retirement roadmap can help guide the way. 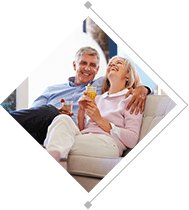 Discover how we help individuals and families achieve their ideal retirements. 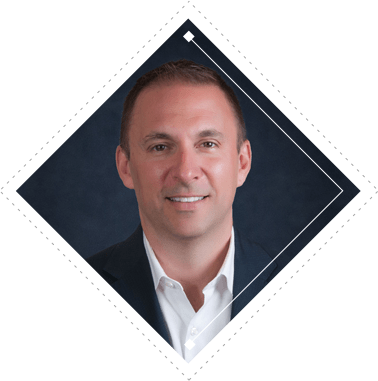 As the president and CEO of Ayers Financial Services, Patrick Ayers is focused on helping clients work toward their retirement dreams through a well-thought-out strategy for retirement income. It’s our responsibility to evaluate and assess your financial situation and only make recommendations that are in your best interest, and we do so with integrity and transparency. We began over 25 years ago with a belief in our clients. We are not led by corporate quotas or branded investments. We only invest in our clients, digging deeper into their goals, dreams and inspirations to develop the best customized approach drawn from individualized planning. Request a meeting to sit down with us and discover what your ideal retirement looks like. 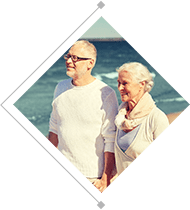 Using our comprehensive financial review (CFR), we’ll examine your current financial situation and help you determine your retirement needs. 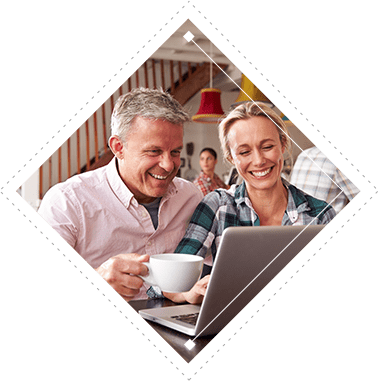 Receive your customized Retirement Roadmap to help you reach your unique retirement goals. Get started on the path toward your dream retirement today! Tune in to Financial Sanity with Patrick Ayers on WFIR News Talk Radio 960 AM | 107.3 FM, Saturdays at 7 a.m. and Sundays at 8 a.m. and on WLNI News Talk Radio 105.9 FM Saturdays at 7 a.m. Call us today at 540.563.9144 to learn more. Do You Have a Plan for Retirement Income? 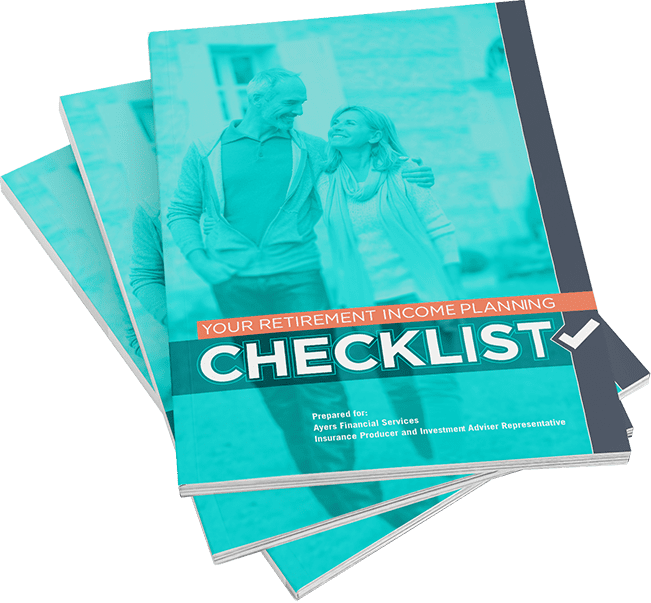 Take charge of your financial future now and get “Your Retirement Income Planning Checklist” today! Enter your information below to instantly download the guide. For more information about any of the products and services listed here, Request a Meeting today or register to attend a seminar. Securities and investment advisory services can only be solicited in the states where a financial professional is licensed and registered to do business in. Please inquire as to which states the financial professional is licensed and registered in before engaging in a business relationship. Securities and investment advisory services are offered through Madison Avenue Securities, LLC (MAS), member FINRA/SIPC and a Registered Investment Advisor. MAS and Ayers Financial Services are not affiliated entities. Any references to protection benefits or steady and reliable income streams on this website refer only to fixed insurance products. They do not refer, in any way, to securities or investment advisory products. Annuity guarantees are backed by the financial strength and claims-paying ability of the issuing insurance company. 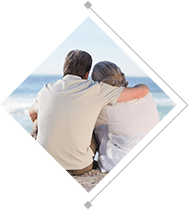 Annuities are insurance products that may be subject to fees, surrender charges and holding periods which vary by insurance company. Annuities are not FDIC insured. The information and opinions contained in any of the material requested from this website are provided by third parties and have been obtained from sources believed to be reliable, but accuracy and completeness cannot be guaranteed. They are given for informational purposes only and are not a solicitation to buy or sell any of the products mentioned. The information is not intended to be used as the sole basis for financial decisions, nor should it be construed as advice designed to meet the particular needs of an individual’s situation. The National Ethics Association (NEA) is a paid membership organization. All NEA Background-Checked members have successfully passed the annual seven-year background checks for criminal, civil, and business violations in order to meet the membership standards. However, the association provides no guaranteed assurance or warranty of the character or competence of its members. Always make financial decisions on the basis of your own due diligence.